Great product development starts from an understanding of the customer and a problem statement that describes the as is world in which that customer lives. 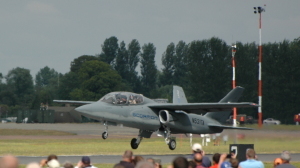 For Textron, their primary customer is the US Government, and the problem statement was that budgets are incredibly tight compared with the days of the Cold War and that the current generation of military combat aircraft are complex, expensive to buy and operate and designed for a war that no longer reflects the major threat to the defence of the USA. So they took a radically different approach that illustrates some great practice in Lean/Agile thinking. The end result was getting an aircraft from first concept to first flight in only 20 months (in comparison, the very complex and advanced F-22 Raptor took nine years), that costs a fraction of traditional combat aircraft (F-22, $150M each, Scorpion, $20M) and has an operating cost of less than 20% of those traditional jets (F-22, c. $20,000 per hour flown – Scorpion, c. $3,000 per hour). What made those results possible included the following key principles. Focus on the minimum viable product. Wherever possible, reuse existing components, particularly those that take a long time and cost a lot to get off the drawing board, such as engines. Build a cross-functional team that are co-located and eliminate redundant processes, documentation and administration. Let the team self-organise and self manage. To be clear, the Scorpion is not as capable as the F-22. But, many of the missions that a more complex jet would have to fly at $15-20,000 per hour can be carried out perfectly well by the Scorpion, allowing the expensive aircraft to be used only when their advanced features are really needed, extending their operational lives and saving money. 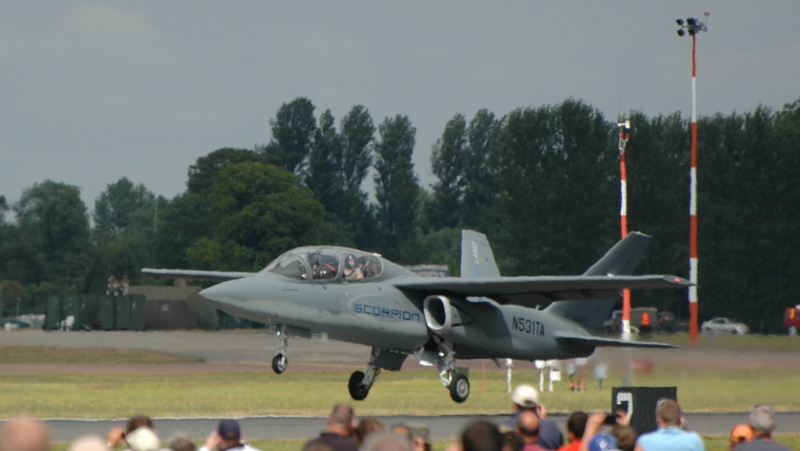 Already, the team is attracting a lot of interest, and it’s likely that the Scorpion will be a major export success to friendly governments outside of the USA. Here’s a webinar I delivered on the subject early in 2015.